I absolutely love blueberries, and treated myself to a very large punnet a few weeks ago. I was making a cobbler and used strawberries and blueberries for it and then had an abundance left over. I decided to adapt one of the Simple Summer Cookathon recipes to suit my fridge and make a blueberry ripple ice cream instead of the strawberry ripple ice cream. This stunning ice cream was the perfect accompaniment to the chocolate pudding but more about that later. Each year Yuppiechef host a cookathon and I have taken part in every single one of them. This year our meal started with a melon and avocado salad with a spicy seed brittle and a roasted tomato dressing. The dressing is so good and I am so glad we did not use all of it as it is going to be my summer favourite. I made a sugar spicy brittle as well as a sugar free version using fructose and I have some left over for snacking on when I get home. I am going to make some more to blog about as it is really easy and extremely tasty. 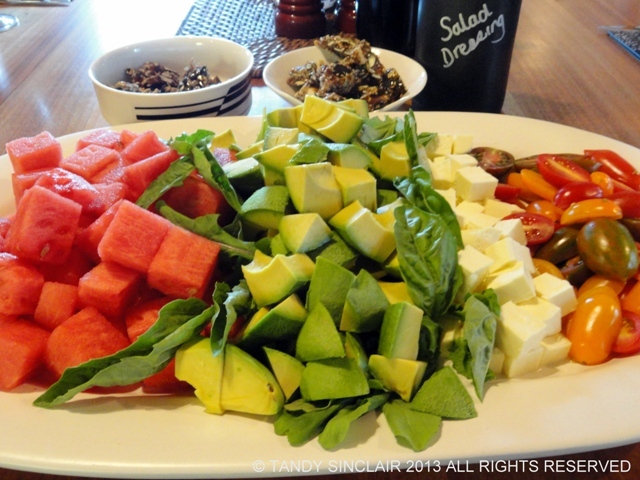 I was skeptical about melon and tomato together but the flavours worked so well and the entire platter was devoured. Luckily my two avocados were perfect! 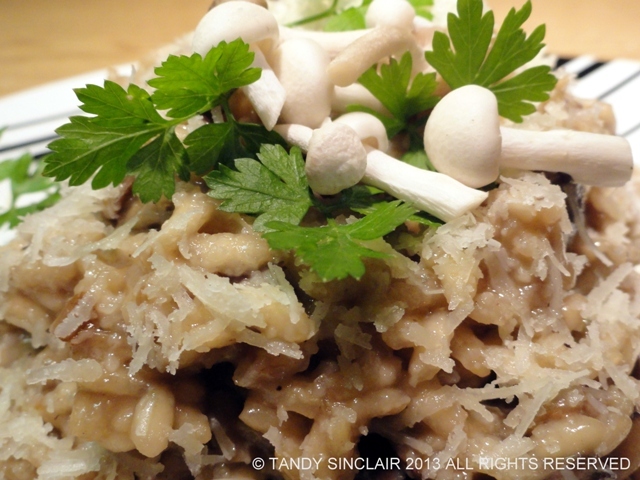 We had invited Alex and Louise to join us and while the boys chatted away I finished off the classic wild mushroom risotto and caught up with Lou. I had started the prep for the risotto in the afternoon, substituting dried porcini mushrooms for fresh shitake mushrooms. I also used concentrated mushroom stock for the risotto. I doubled the quantity of mushrooms as I was not serving a protein with the dish, and we could not finish it. Everyone commented on how great it was which made me feel great! 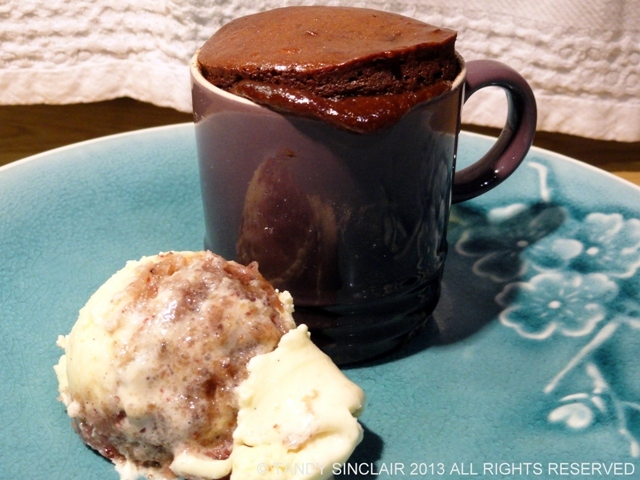 This was followed by the chocolate pudding with blueberry ripple ice cream – a perfect end to a perfect meal! Ooo you’re making me wish it was spring here again!! I am so glad it is warm here, even if it is still raining! Your entire post looks delicious! What a feast! It all looks great – definitely my kind of meal! Well done. What a lovely meal and that platter to start with looks stunning! Each one of those dishes looks amazing! I just love mushrooms and can never have enough! I shall blog that soon! This sounds delicious! I can have a few of these scoops and maybe more! YUM!